The Seamaster 2018 ITTF World Tour Grand Finals is nearly upon us and with the event kicking-off in just under two weeks’ time on Thursday 13th December, we’ve decided to take a closer look at the competitors set to do battle in Incheon, Korea Republic. We begin our preview by focusing on the players seeded 16th to 11th in the Women’s Singles draw. Set to compete at the tournament for the first time Saki Shibata has been named as no.16 seed for the category. Shibata, 21, favours a fast-paced attacking approach to the sport and is one of Japan’s bright up-and-coming stars, breaking into the World top 20 in July of this year. Appearing in main draw action on eight stops of the 2018 ITTF World Tour, Shibata beat current World no.1 Zhu Yuling on her way to a semi-finals finish in Shenzhen, China in June and also reached the penultimate round of the Women’s Singles in Olomouc following a terrific campaign in the Czech city. 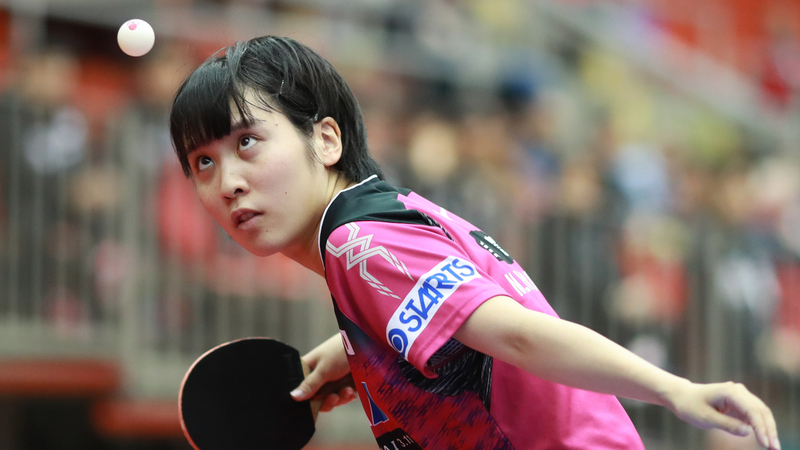 Along with her successful outings on this year’s World Tour Shibata has been outstanding at ITTF Challenge Series events with four Women’s Singles trophies to her name in 2018, more than any other player competing in the series. Considered for many years as the name of Singapore table tennis Feng Tianwei, no.15 seed, has plenty of experience at the highest level of the sport. Feng is a winner of three Olympic Games medals, 10 Commonwealth Games medals and helped Singapore to gold medal success at the 2010 World Team Championships. Beginning her year with a Round of 16 finish in the Qatari capital of Doha, Feng went on to reach the same stage at the World Tour events in Hong Kong, Shenzhen and Geelong but surely her standout moment came at the 2018 German Open in Bremen, progressing right up to the semi-finals. Feng will make an astounding 12th appearance at the Grand Finals when she takes to the table in Incheon and was crowned champion the last time the event was hosted on Korean soil in 2010! Blasting onto the scene in breathtaking fashion at the 2017 Japan Open Sun Yingsha quickly established herself as of China’s finest young players, achieving a career best rank of seventh back in December 2017 – one year on the 18-year-old is set to make her Grand Finals debut. 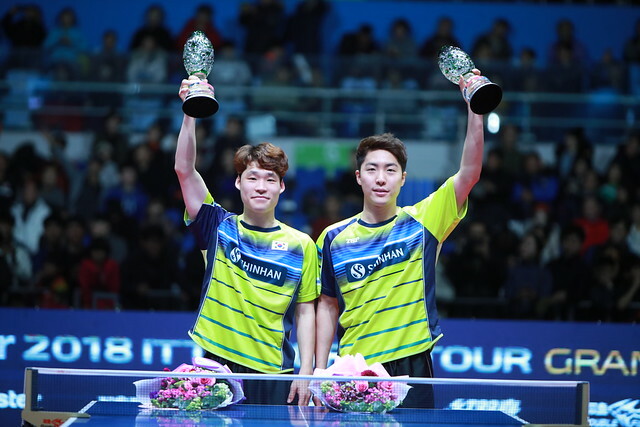 Runner-up at the opening World Tour tournament of the year in Budapest, Sun went on to secure a top eight position in both Doha and Bremen picking up commendable victories over Feng Tianwei and Mima Ito at the respective events. Sun also made appearances in Hong Kong, Shenzhen, Daejeon and Kitakyushu. Last year in her debut season of World Tour action Sun featured in 14 Women’s Singles encounters, emerging victorious on 12 occasions! Featuring in the Women’s Singles event for the third consecutive year, Japan’s Miu Hirano heads to the 2018 World Tour Grand Finals as no.13 seed and could be in with an outside chance of glory. Hirano, 18, has already collected a number of the sport’s biggest accolades, lifting the 2016 Women’s World Cup, striking gold at the 2017 ITTF Asian Championships and played an important role in Japan’s silver medal campaign at the Liebherr 2018 World Team Championships. Travelling to 10 of the 12 World Tour competitions throughout the course of the year, Hirano made quarter-finals appearances on five occasions [Doha, Kitakyushu, Geelong, Panagyurishte and Olomouc], finishing the year with 467 World Tour points to her name. Despite still being in her teenage years Hirano has put her name in the record books on a couple of occasions: in 2016 she became the youngest player to win the Women’s World Cup at just 16 years of age and one year on she became the first athlete from her country to claim a Women’s Singles medal on the World Championships stage since Toshiko Kowada in 1969! Ranked outside the World top 200 until June few would have predicted to see He Zhuojia’s name on the Grand Finals entry list at the start of the year, however, a late charge has seen the Chinese star climb into the World top 100 and, more importantly, the top 16 of the World Tour Women’s Singles standings. Reaching the semi-finals three times on the 2018 ITTF World Tour including at the recent event in the Austrian city of Linz, He has chalked up a number of outstanding victories over the course of 2018, beating the likes of Liu Shiwen, Kasumi Ishikawa and Mima Ito all of whom will be on duty in Incheon. No player from outside of China has managed to overcome He so far this year. In fact her last defeat to a non-Chinese competitor in a Women’s Singles contest came four years back when she lost out to Kasumi Ishikawa at the 2014 Japan Open! Rounding off the list of seeds 16-11 is Hitomi Sato. Known for her high consistency on the table the Japanese defender won her first World Tour title in 2016, claimed gold at three ITTF Challenge Series events in 2017 and is set for her third successive appearance at the Grand Finals. The highlight of Sato’s year surely came in Panagyurishte, earning straight game victories against Honoka Hashimoto and Georgina Pota to secure a penultimate round finish. Sato’s standout moments include beating Cheng I-Ching at the World Tour event in Doha and successfully negotiating a meeting with Feng Tianwei in Shenzhen, achieving quarter-finals finishes at both tournaments. Sato played out an eye-catching 766 shot rally with Dutch competitor Li Jie at the 2017 Qatar Open, entering the record books as the longest rally in the modern era of professional table tennis at approximately 10 minutes and 13 seconds!